Race by race vehicle filters ensure players race against the exact cars and drivers that raced in the actual race. AI Calibration files for all JNS, SCE, TPSCC tracks, plus "miscelaneous" versions of St Pete, Surfers, Mid Ohio, and others on the ICS schedule. 21 different "chassis configuration" upgrades ensure the AI always have a default setup tuned to the track (SCE, TPSCC, JNS). "Generic" default setups by track type for all other tracks. TrackConfigsBase.ini will ensure the proper setup is loaded at all SCE, TPSCC and JNS tracks. All road courses will also load the correct configuration, by default. - Tommy C and J.R. Sharp for their work on the redeveloped physics in the mod. - Mike Peters: Painted all cars, templates, User Interface, etc. - Marcelo Barrio and PAQUITO: Car modeling, help with mapping, template shading, etc. - Doug Lynch: thanks for letting me pick your brain almost always! - Maurice Wijma, Omar G, Ryan Field, Danny Wylie and Scott Thrasher the rest of iDT and others at Race2Play.com for their help in testing! - Brian Schmidt for most all of the suits and helmets! - Pierre Pelonero: for letting me be part of one of the best modding team in the community and all of the support and friendship. - CheifWiggum - Your helmets are essential to this mod! They are top notch! quality and I know the hard work you put in! Thank you! WHICH VERSION DO I GET? The choice is yours. There are two versions of the mod (they wont mismatch) in Hi-Res (2048 resolution) and Lo-Res (50% reduction in textures). Both are available in EXE (self install) and RAR (manual install) formats. 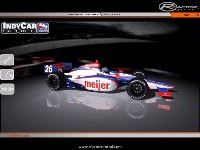 All of the features and improvements from the IndyCar Series 2009 mod ported over to 2008 mod. The Panoz chassis is also compatible with this mod? Because i´ve tried several times to put the #88 Car(Phil Giebler-Indy 500 DNQ) from the rOWR07(Indy Version) and didn´t work for me. 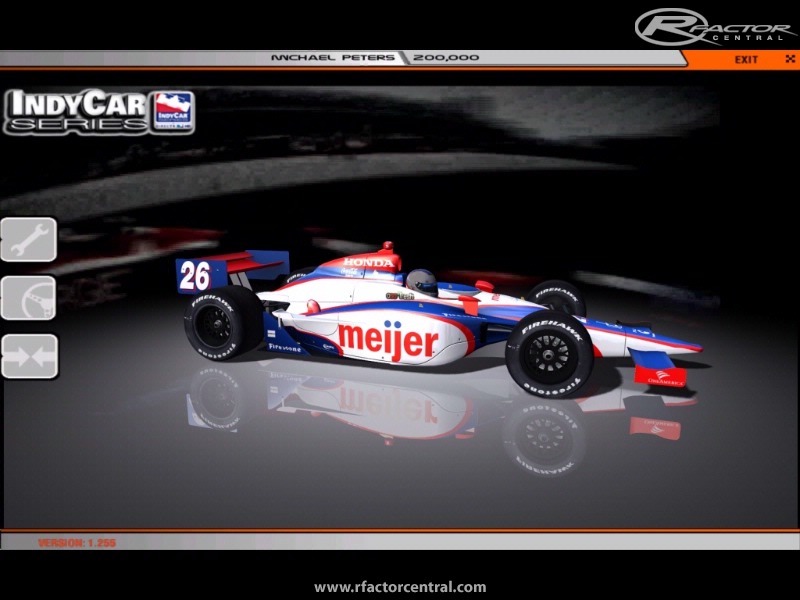 Hi, mrpeters/rF Open Wheel Racing Project, do you give me permission to convert this to RF2? Someone have a link this mod? Having not used the 2008 Indy mod in some time. I was very surprised when selecting road configuration, the car would veer left on a straight, (no matter which track) then under braking, the car would suddenly veer to the right. After trying many different setups nothing had any effect. I read the comment by "scca1981" regarding tire behavior, So I threw the dice, and tried copying and pasting the firehawk_road.tbc file, from the 2009 mod. As a result the veering issues are gone. Do these skins work in 2009? Is the template the same? how can i download this game.i need help with this.